Steel Workers Jobs in Midwest USA Threatened by ITC Trade Case. Data: Drop in solar panel prices from 2011 to 2016 has led to rapid increase in American solar manufacturing jobs rade Case. 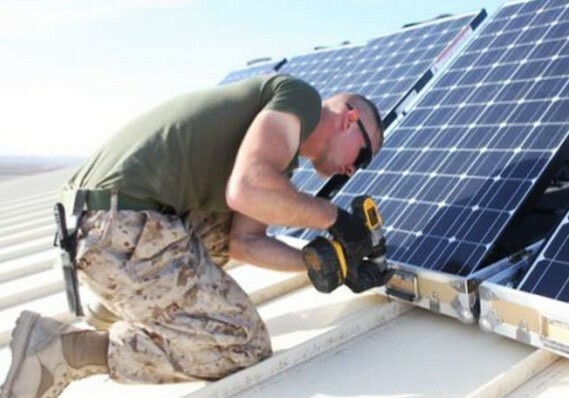 There are 374,000 Americans including 16,835 U.S. veterans working in the solar industry across the United States, exceeding the percentage of veterans in the broader U.S. workforce. NEW YORK, NEW YORK – August 2, 2017 – GameChange Solar CEO Andrew Worden today issued a statement voicing deep concern about the ITC 201 trade case which threatens the US solar industry and if passed by the Trump administration, could trigger the loss of 88,000 or more of the 374,000 American jobs in the industry. Solar manufacturing is the fastest growing employment sector in the country over the last five years with jobs surging by 58%. This is due to the rapidly dropping costs of solar power which created a surge in demand for the equipment that goes into building solar farms. At GameChange Solar, we manufacture the steel racking for roof and ground mount systems as well as trackers for ground mount solar farms. Our structures are made primarily with 100% American made steel. Our steel comes mostly from steel mills in such states as Pennsylvania, Indiana, and Ohio before being fabricated into racking at factories in Alabama, Tennessee, Minnesota, Kansas, Utah, New Jersey, Indiana, Ohio and other states. The amount of American steel GameChange Solar alone uses for solar equipment has grown dramatically over the past few years and will reach 300 million pounds this year. We are now the second-leading manufacturer of fixed tilt ground mount racking in the United States and a leader in trackers as well. The companies in the manufacturing sector of our supply chain alone employ 44,000 Americans with 2,950 in the solar sector. The surging growth in homegrown American manufacturing is threatened by the petition filed by Chinese-owned Suniva and German-owned SolarWorld at the International Trade Commission. These two failed foreign companies, after surviving only from government subsidies, are now asking for the government to step in and set the price of solar panels at more than double the current market price. 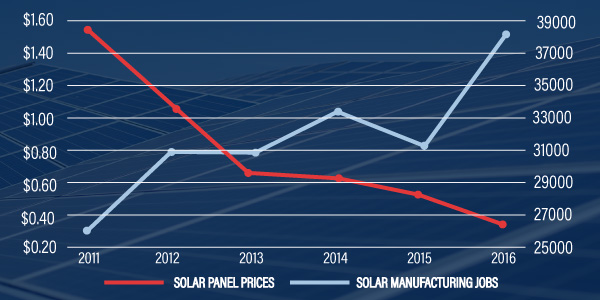 The data clearly shows that as the price of solar panels has fallen from over $1.50 per watt in 2011 down to $0.39 per watt near the end of 2016 and the number of Americans employed in factories manufacturing solar equipment has risen by 58%. But, if Chinese-owned Suniva's request is granted, trade publication gtmresearch estimates this would slash the installation of solar farms by more than 50% and cause a subsequent crash in the market for the steel racking and other solar equipment being manufactured here in America by successful US companies like GameChange Solar. The Solar Energy Industries Association predicts this would cause 88,000 Americans employed in the solar industry to lose their jobs, and it could threaten potentially most of the 374,000 total American jobs in the industry. The story of solar manufacturing in America is strong and growing. Whereas, the story of this trade case is of two failed foreign companies with a few hundred employees and their foreign hedge fund investors trying to recoup their bad investments on the backs of successful American factory workers. As a homegrown American company, GameChange Solar is proud of the success we've had and we're committed to fabricating our racking and trackers for the dynamic American solar market primarily with American made and fabricated steel. But the jobs we support across the Midwest steel belt and into the deep South are at risk due to these failed foreign companies' petition for a government bailout. 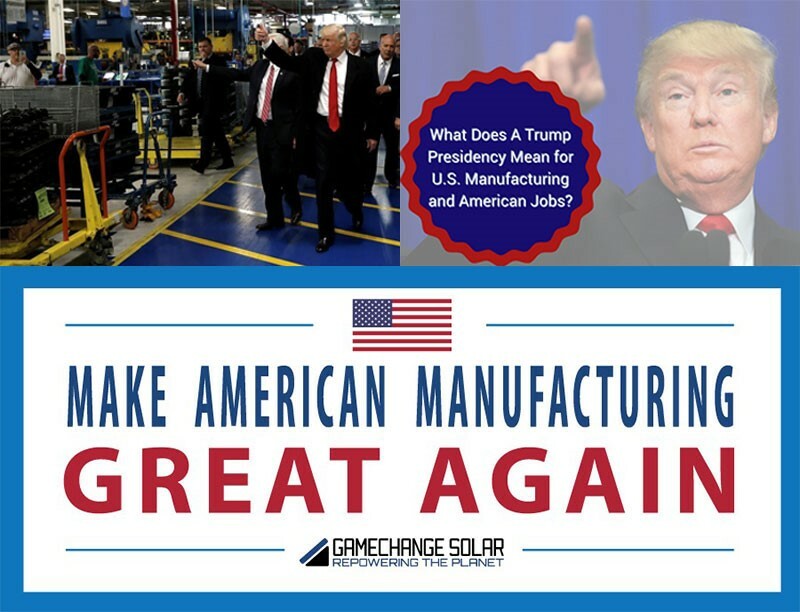 We need President Trump to help us rally together to support American solar and steel manufacturing by denying panel price increases that may be sought by the ITC trade case and to ensure the continued dominance of the 374,000 Americans successfully employed in the solar industry.